Interest rates on cash Individual Savings Accounts (Isas) are beginning to rise, bringing a little relief for savers. Returns on average instant access Isas increased from 0.68% in December to 0.78% in February, according to the data provider Moneyfacts. For fixed-rate Isas of at least 18 months, rates went up from 1.38% in December to 1.46% this month. Savers have until April to use their 2017-18 Isa allowances. It comes after more than a decade of low interest rates, which have discouraged many people from putting money away. However, Moneyfacts said the outlook for savers was now improving. “The Isa market may have reached a turning point, with all average Isa rates increasing for a second month in a row,” said Charlotte Nelson, finance expert at Moneyfacts. She said the end of the Funding for Lending Scheme for mortgages in January, and the closure of the Term Funding Scheme at the end of February were factors being the change. Both schemes allowed banks and building societies to borrow cheaply from the Bank of England, meaning they did not have to compete for deposits from the public. 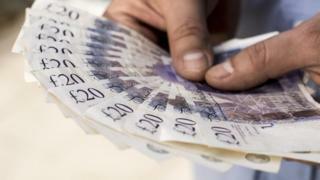 The Bank of England also raised base rates to 0.5% in November, with up to two further rises expected this year. Budget 2018: What do young people want the government to spend more on?